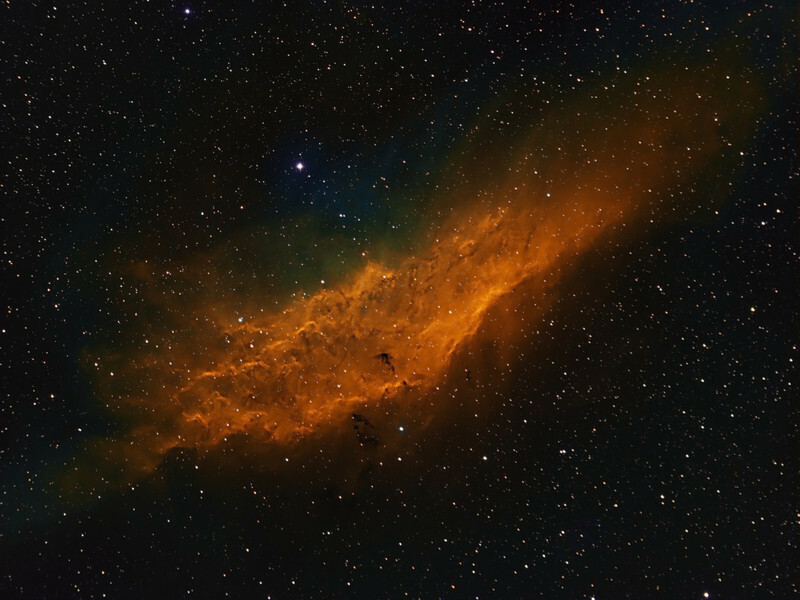 California Nebula...taken with Tokina 300mm lens f2.8. and FLI ML8300 camera. Narrowband image done in Hubble colors. ( Ha bin 1x1 5x30m, SII binned 2x2 6x30m, OIII binned 3x3 6x30m ). Taken by Lynn Hilborn Nov 21 - Dec 11, 2011 at Grafton, Ontario.